PG&E is a major economic contributor in California, investing billions of dollars annually in our operations, employing tens of thousands of Californians directly and indirectly, doing business with thousands of local suppliers and partnering with economic development organizations and other groups. The work proposed in PG&E’s latest Gas Transmission and Storage Rate Case could help boost the state’s economy. If approved by state regulators, the plan, which calls for replacing and pressure-testing transmission pipeline and adding automated valves and other upgrades to the system, could support 10,750 jobs, $75 million in state and local tax revenue, and $1.8 billion in business sales. 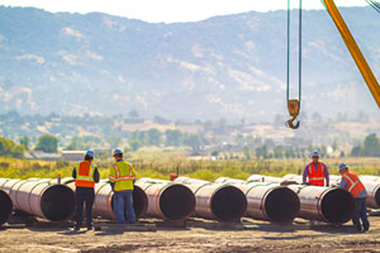 As part of PG&E’s general operations, every year we invest heavily in upgrades to natural gas pipelines, electric power lines, generation facilities and other key infrastructure. These upgrades create jobs and contribute to California’s prosperity, helping stimulate economic growth while creating a reliable and efficient energy system that promotes local business development. We actively partner with local, regional and statewide economic development organizations in a variety of ways, from providing funding to nearly 50 organizations to having employees serve in leadership roles on boards of directors and organizing local economic forums and training programs. We also made a total of $23 million in community investments in 2014, over 40 percent of which focused on economic and community vitality. 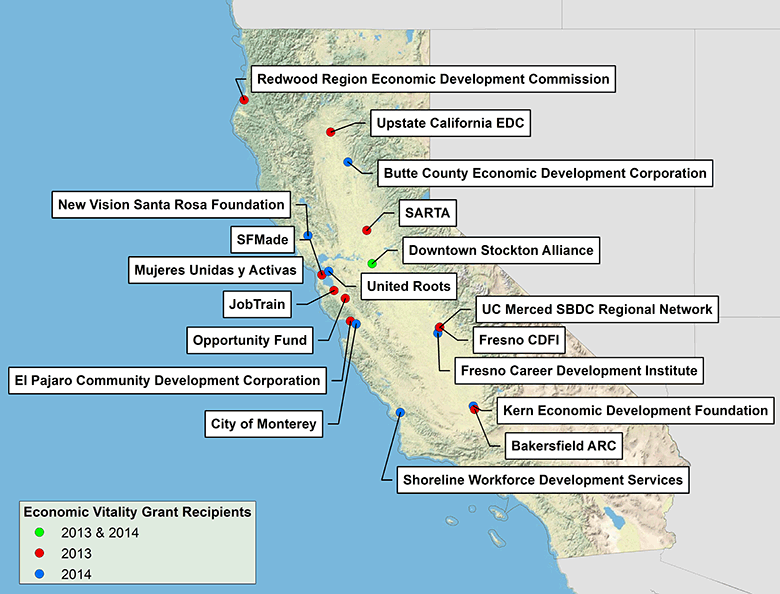 These investments ranged from donations to charitable organizations that assist low-income families with their utility bills to investments in local job creation and economic development initiatives and support for civic projects that vitalize local communities. PG&E’s economic development team provides one-on-one assistance to current and future commercial customers who are considering competing locations inside or outside California. The team directly supports local efforts to attract, retain and grow companies by helping them analyze and lower their energy costs through a variety of programs. We also continue to develop new offerings to help businesses grow or maintain jobs in California, such as our Economic Development Rate for eligible customers with high energy loads who are considering locating in California, relocating from California to other states or closing their existing California operations. Eligible companies can receive a 12 percent rate reduction for five years, and companies in cities and counties where the annual unemployment rate is at least 25 percent higher than the state average can receive a 30 percent rate reduction for five years. JM Eagle, a pipe manufacturer based in Stockton, kept more than 100 local jobs in its facility after qualifying for PG&E’s Economic Development Rate. Amy’s Kitchen took advantage of the rate to justify building a new food processing facility in Santa Rosa, which will add about 150 jobs. Synergy Health, a medical device manufacturer, is moving into Petaluma with help from PG&E’s new rate. 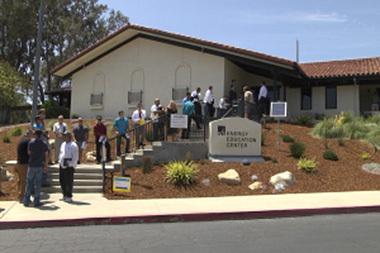 PG&E offers many ways for customers to save money by saving energy. We help customers increase energy efficiency through online tools to analyze their energy use and provide rebates for energy efficient products. We also assist residential customers when they experience challenges or unexpected changes in their financial situation. As one of the largest companies operating in California, PG&E is a major contributor to the revenue that state and local governments depend on to fund critical public services. In addition to property taxes, we pay franchise fees to cities and counties for the right to use public streets for our gas and electric facilities. With two planned maintenance and refueling outages scheduled at our Diablo Canyon Power Plant in 2014, Pacific Gas and Electric Company held an event to hire workers to support these projects. The hiring fair included opportunities to learn about outage work and full-time jobs at PG&E, as well as how local companies can do business with us. The additional workers assisted Diablo Canyon’s nearly 1,500 employees on projects to support the continued safe and reliable operation of the facility. The additional workers also generated about $5 million in additional spending in nearby Pismo Beach, California. Invested in our infrastructure. Capital investments in our system totaled more than $4.8 billion in 2014, enabling us to further modernize our system and accelerate the progress toward our long-term goal of being the safest utility in the country. Contributed to community vitality. We continued to invest in our communities through our Economic Vitality Grant Program, which supports local workforce development and business incubation. In 2014, we awarded 10 grants totaling $200,000 to help organizations like New Vision Santa Rosa offer job training and career-boosting skills to more than 200 workers. Partnered locally for economic development. In partnership with the Governor’s Office and the California Association of Local Economic Development, we hosted four economic development workshops in local communities, among other actions. Helped attract or retain key local employers. We worked with 56 new and existing businesses that were looking to locate or expand in our service area. Of these, PG&E was successful in helping to retain or attract 17 companies within our service area, bringing more than 2,500 new jobs and over $15 million in revenue to the region. PG&E’s activities can support significant economic activity and jobs in our service area, as shown in an independent study. These impacts represent the economic contributions of PG&E’s general operations, customer energy efficiency programs and community investments program, based on 2012 data. They include the utility’s direct economic activities, including the market value of goods and services provided, as well as the multiplier or “ripple” effect of those activities in the service area economy. 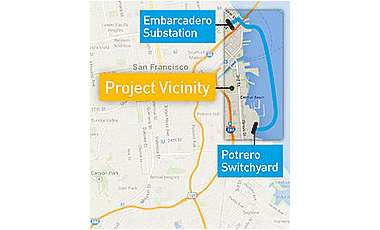 PG&E is constructing a new 230-kilovolt power line and expanding two substations in San Francisco to bolster electric reliability for residents and businesses and enhance readiness in the downtown area in the event of a catastrophic emergency. The project is part of PG&E’s five-year plan to invest $1.2 billion in San Francisco’s electric and gas infrastructure to provide safe and reliable service for customers. We know that our success depends on the success of the many local communities we serve. We plan to make $5.5 billion in new capital investments in 2015, which will help support local job creation and spur economic growth. We will continue to focus on fostering economic development, finding opportunities to support communities through our supply chain and creating opportunities through community investments, particularly to help people living in underserved neighborhoods.